This past weekend, I was bullied into attending a wedding sweatshop where we worked tirelessly for hours on wedding DIY projects. …Okay, it was actually a lovely shindig with rosemary lemonade, baked brie, and wine breaks. 🙂 Two October brides, Lindsay and Christie, hosted the event. Below are some of their projects with links to instructions. 1. 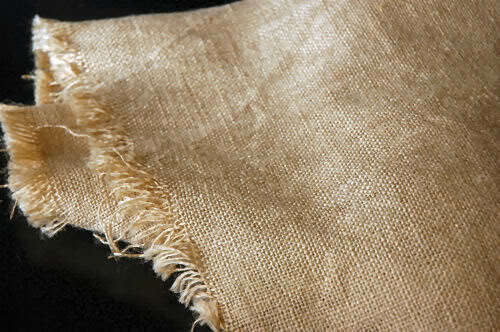 Burlap table runners – just cut burlap fabric to size. The unfinished edge adds character. Detailed instructions available at Living with Lindsay (photo from Living with Lindsay). 2. 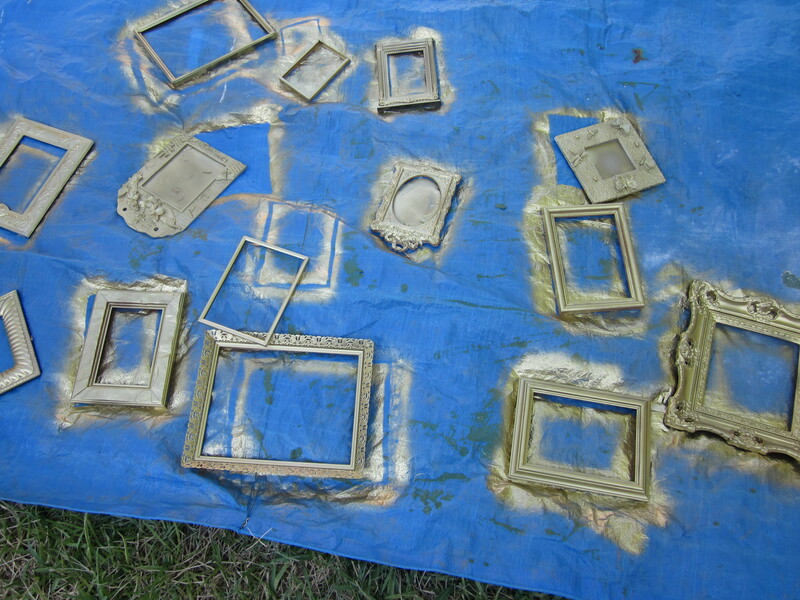 Picture frame table numbers – Lindsay found some awesome frames at thrift stores and spray-painted them gold. 3. Chalkboard signs – DIY chalkboard paint with tile grout from Martha Stewart. 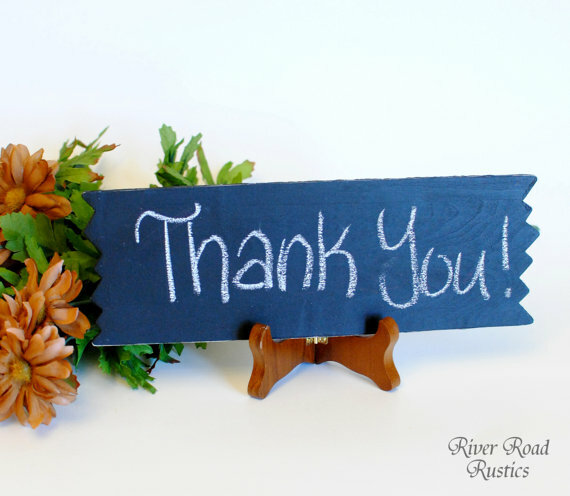 You can also buy chalkboard signs on Etsy like pictured. 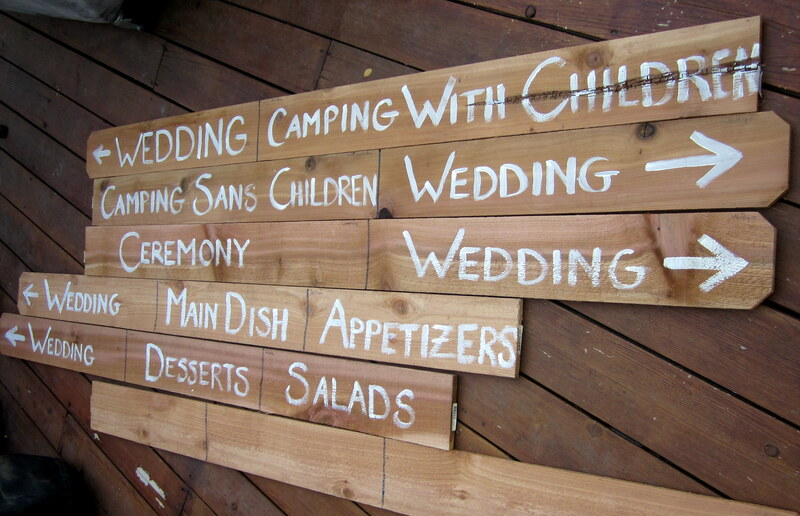 Christie is having a potluck camp-out wedding at a friend’s ranch. Her theme is “Vintage Picnic” with shades of green and blue. 1. 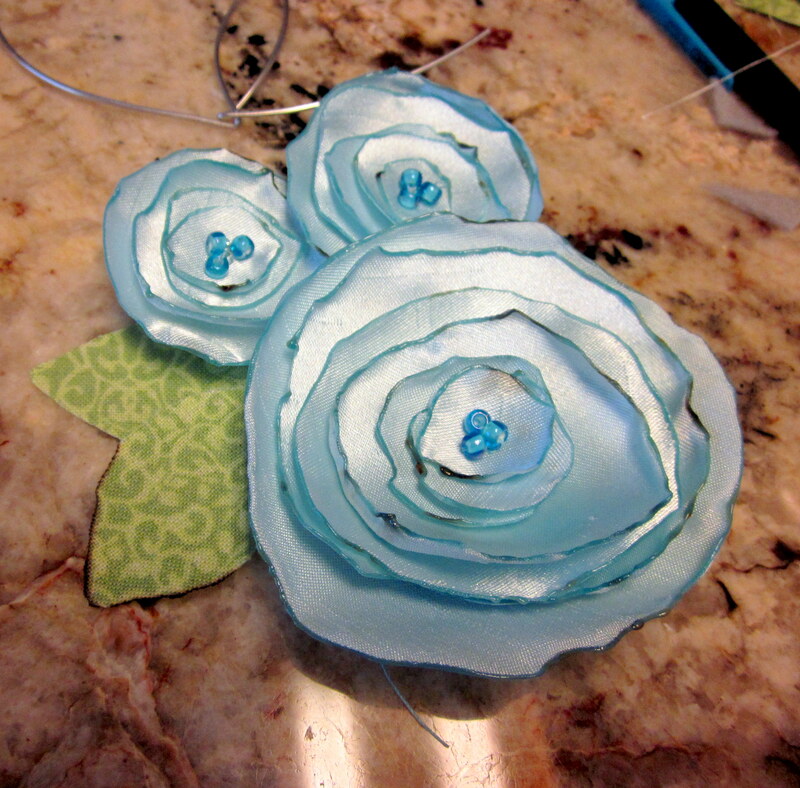 Fabric flower boutonnieres – this was my assignment, I completed eight over two hours. I found it helpful to roll and twist the flower while flattening it on a smooth surface. Instructions from the pilot’s wife. 2. 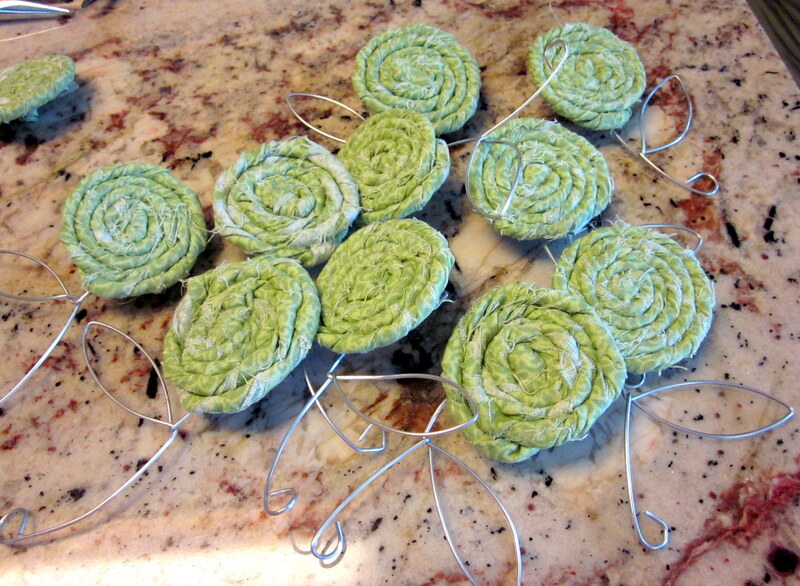 Fabric flower headpieces – these turned out really well and only a few fingers were burned in the process. Hope Studios has a good tutorial. 3. Wooden signs – Christie’s future sister-in-law painted these lovely signs. This entry was posted in Crafts, Decorations, Weddings and tagged Fabric flowers, wedding signs. Bookmark the permalink. are your finger tips callused up from the glue gun yet?